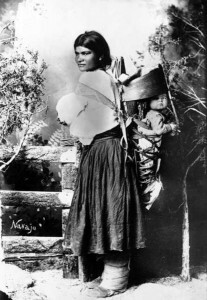 Navajo legends are one of the most fascinating among Native American folklore. Navajo stories and myths are surrounded by highly mystical creatures like the skinwalkers and coyotes. These Navajo myths have been carried and passed on for generations, and there are still plenty of Navajo legends that live within the tribe, but have never been spoken to the outside world. Many of these legends and myths have been kept alive through artistic expressions within the Navajo jewelry and art, which many people find very attractive and popular. Among the tribe, it it still considered bad form to talk about certain things, such as skinwalkers, because they are believed to live among the people and do their evil deeds at night. However, there are many beautiful Navajo legends that relate to the creation of the earth as well as the relationship between the spiritual world and the living realm. Luckily, many of these Navajo stories have been put to paper and revealed for the whole world to enjoy. Many of these Navajo legends once only existed through memory and were kept alive through word of mouth. Tribal elders and parents were responsible to teach the legends to their children. In fact, most of the Navajo myths you’ll read about on this site have been alive since long before the language was ever put to paper. Some Navajo folklore embraces the human spirit and the connection to the spirit realm, while others have terrified children and adults alike for hundreds of years. These Navajo myths always have a connection to the sacred land of the Four Corners region in the American Southwest. At NavajoLegends.org, visitors will find the most popular Navajo legends as well as some that have fallen through the cracks and aren’t quite as well known as the Navajo Skinwalker Legend or the Navajo creation story. These beautiful tales are sure to stick with readers for years to come.